I remembered how we first started jamming as a band. It was at Mike’s Studio just across Balestier Rd. The jamming room size was no bigger than 2 single size bed! Yes! it was that small. Sk, Mik and myself will be cramped to the side of the wall. Edmund on the other hand will play his drums at the other side of the room, facing the wall! We enjoyed every single sessions we had over there and I must say that most of our good songs are written while we were there. I’m not sure what happened to the jamming studio anymore but I will treasure the good time we had for the rest of my life! The picture below that you are about to see below might cause you severe stomach pain due to laughing too hard! as you can see we look more like an illegal immigrants than a band! Haha! P.S There will be more of our classic photos in our next post! 2 Responses to "Jamming for the first time"
definitely look like illegal immigrants..haha. 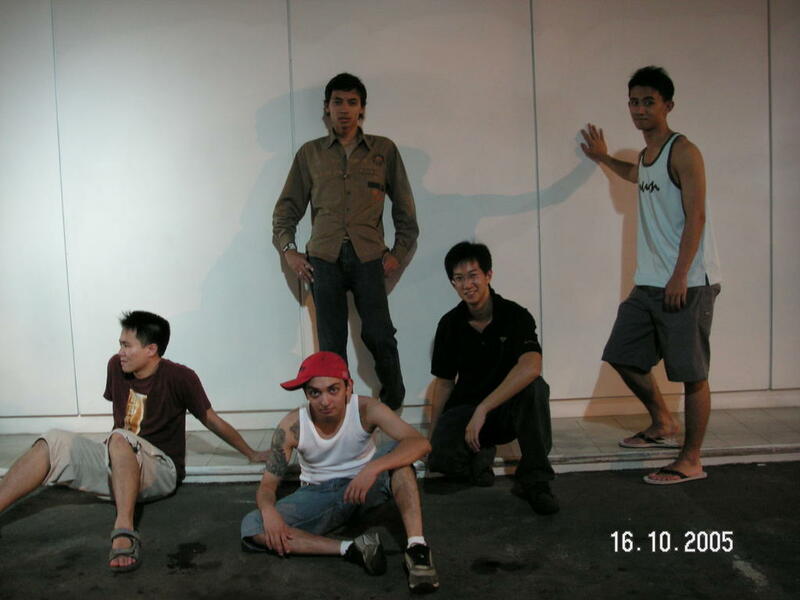 hahaha… omg.. that was in 2005? !